The first block has been lowered at the shipyard for Celebrity Edge, a new generation cruise ship for Celebrity Cruises. Even though no official news or photos were released from the cruise line we did get a glimpse of the first block which was posted by the Celebrity Cruises President & CEO on Twitter. The large block was laid at the STX France shipyard where many more blocks will be added over the coming months to make the ship a reality. This is just one major construction milestone out of many which are still to come. 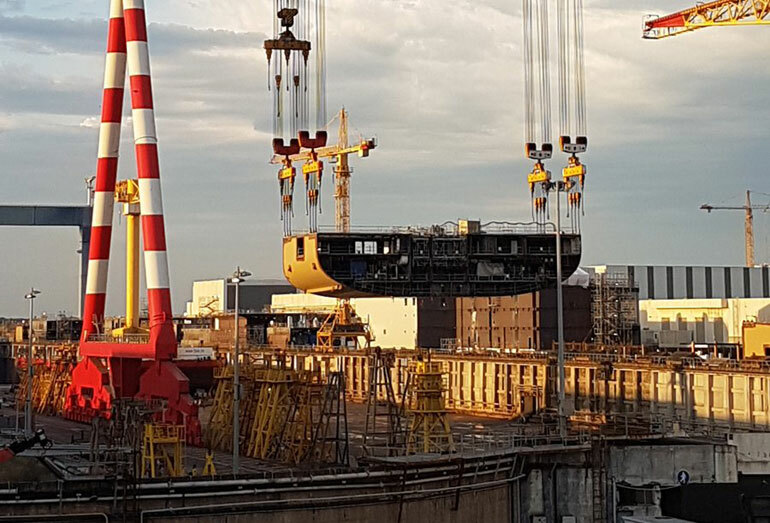 The float out onto the water for the very first time and the fitting out phase is still to come and meanwhile, the cruise line will keep releasing further details on Celebrity Edge. Celebrity Edge is the first ship in a brand new innovative class for Celebrity Cruises. 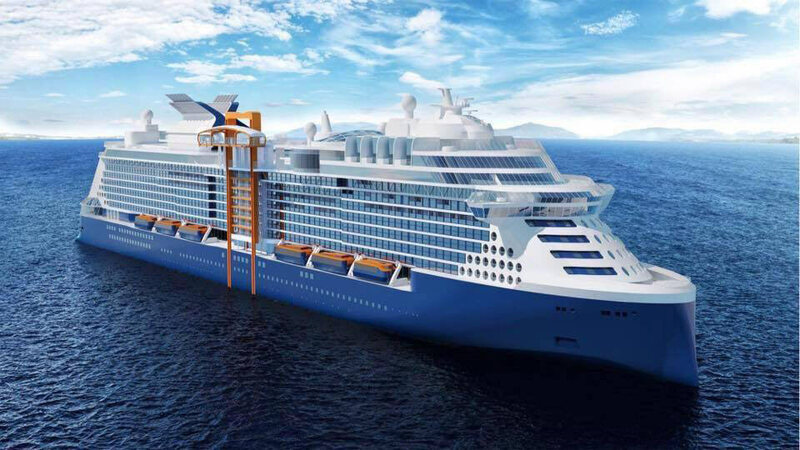 The ship will be the biggest ever built for the cruise line at 117,000 gross tons and carry 2,918 passengers. Celebrity Edge will be based out of Port Everglades, Florida from December 2018 and sail Caribbean cruises. Another three Edge class ships are scheduled to enter service in 2020, 2021 and 2022. Readers can discover more on the next Celebrity cruise ship here.